Today , I did three trades. Could end up with good profits since market rallied. 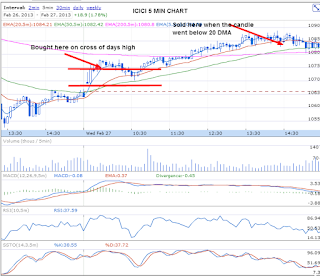 All were intraday buys. 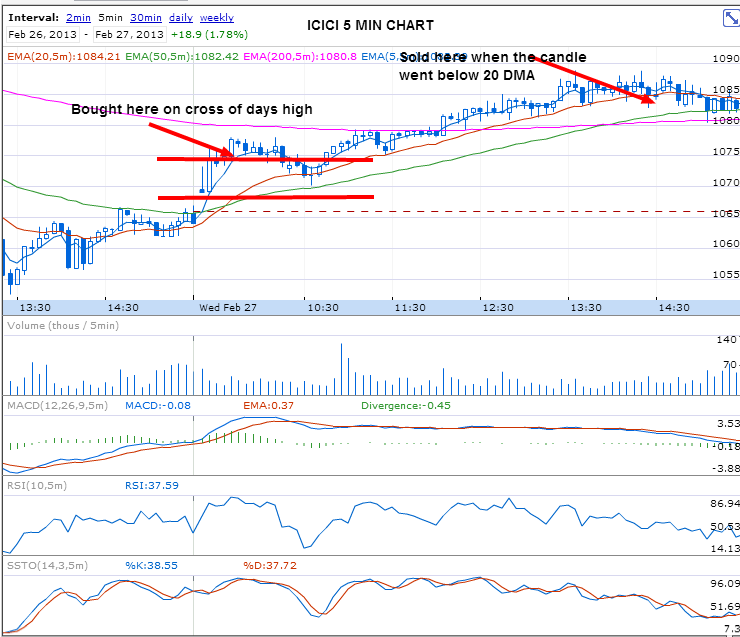 Bought ICICI on days high cross as per my alert to readers. Market was volatile, however SL was not hit, it was a very rewarding trade. Please read the trade on Tata Steel here and also the next movement of Tata Steel.